One of the best parts about food blogging for me is definitely the amazing people that you get to “meet” along the way. Samantha is the sweetheart over at Five Heart Home where she shares healthy and delicious meals that are quick and easy to make along with fun free printables. She’s a busy mom of three beautiful kiddos and is super talented and creative. She also just finished writing her first cookbook, Real Food Slow Cooker Suppers that was released yesterday! I couldn’t be more excited and proud of her because writing a cookbook with small kids and keeping up with a blog along with all those other family responsibilities is seriously no easy task. Her book is just beautiful and full of 80 delicious slow cooker dinner recipes that call for all real, fresh, unprocessed ingredients. I loved the variety of cuisines featured and that there was a gorgeous color photo for every single recipe. 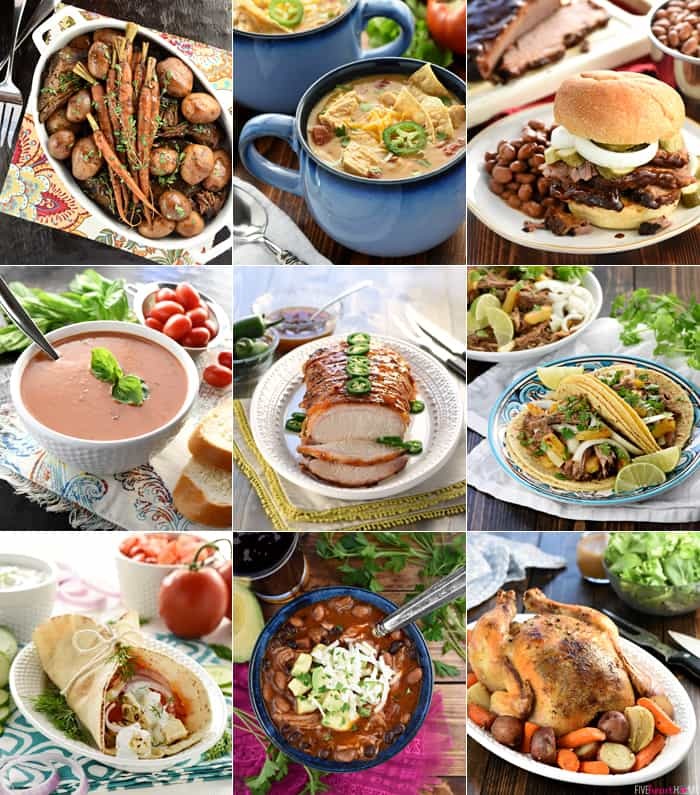 Here are some of other fantastic recipes you’ll find in the book! You can find her book on Amazon, Barnes & Noble or wherever books are sold. Slow Cooker Lasagna - makes the perfect easy comforting meatless meal. Best of all, this entire recipe cooks up all in the crock-pot! Now with a step-by-step video! In a large bowl, combine the spinach, ricotta, egg, parsley and 3/4 cup of the Parmesan until well blended and set aside. In another large bowl, combine the marina sauce, water, tomato paste, Italian seasoning, garlic powder, and crushed red pepper flakes and set aside. Spoon 1/2 cup of the sauce into the bottom of a large oval slow cooker and spread it into a thin layer. Place 3 lasagna noodles on top of the sauce, breaking a noodle into pieces (if necessary) in order to cover most of the blank spaces. Dollop 1/4 of the spinach-ricotta mixture into small spoonfuls on top of the noodles and gently spread it into an even layer. Spread 1-1/2 cups marinara sauce on top of the spinach-ricotta mixture. Sprinkle the top of this layer with 1 cup of the shredded mozzarella and 2 tablespoons of the remaining grated Parmesan. Repeat these layers more times, starting with the noodles and ending with the mozzarella and Parmesan topping. 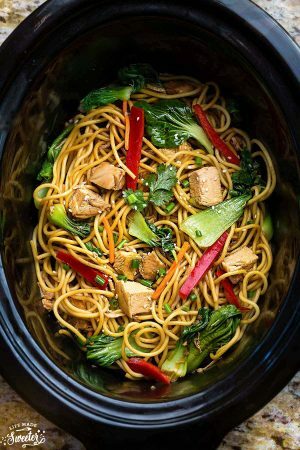 Cover the slow cooker and cook on low for 3-1/2 to 4 hours, until the noodles are tender but not overcooked. Turn off the slow cooker and allow the lasagna to rest for 30 minutes before slicing and serving. I’ve always wanted to try making lasagna in the slow cooker! This one looks beautiful and I love that it’s meatless! Looks delicious! We love lasagna and using the crockpot is a fantastic idea! Haven’t had lasagna in ages… I am saving this for the special occasion. Looks heavenly! 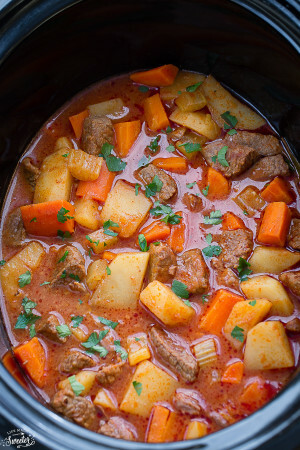 Wow – what a fantastic recipe – and that too in a slow cooker! I am amazed! Yes, “writing a cookbook with small kids and keeping up with a blog along with all those other family responsibilities is seriously no easy task” so kudos to you, Kelly, and Samantha for mastering it! 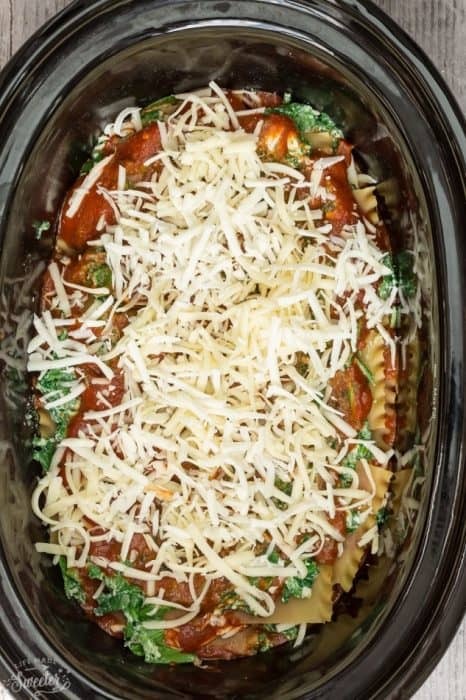 Yum – lasagna in the crockpot!? Sounds amazing, Kelly! I just made this one yesterday! I was so amazed with how it turned out. It’s delicious! Such a gorgeous cookbook! Seriously, is everything you make going to be this gorgeous??? Now THAT is a lasagna! I almost feel like I can smell it! Making it in a slow cooker is a beyond genius move!! 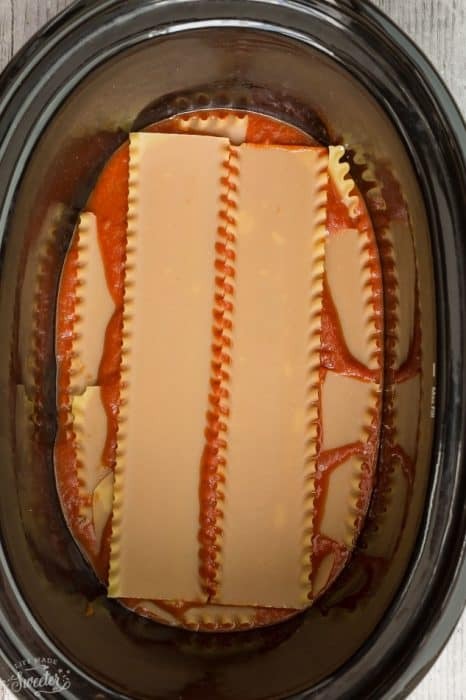 I love making lasagna in the slow cooker! Can’t wait to give this one a try! Oh, wow! I love lasagna. Adding spinach and making it in the crockpot makes this even better! Can’t wait to try it! I can’t begin to fathom what it’s like to write an original cookbook. Hats off to you ladies! It’s just incredible! 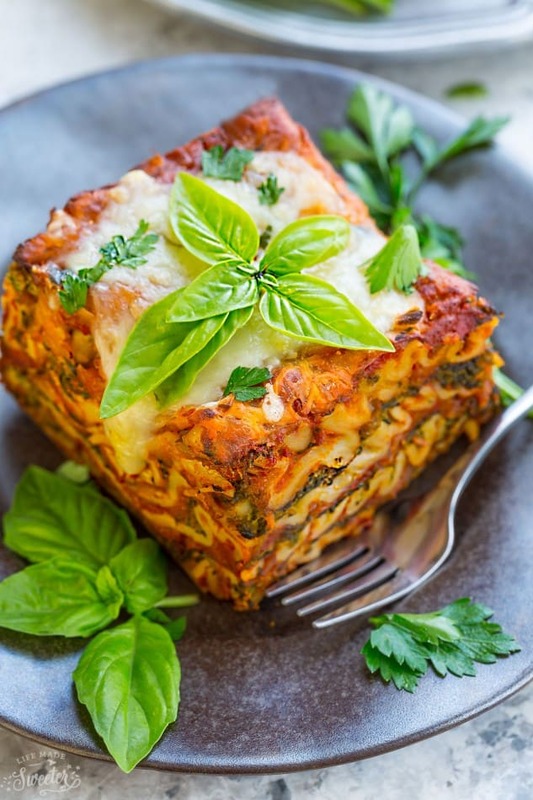 And this lasagna just looks so inviting and warm…perfect comfort food for the family. It looks awesome! I love making lasagna in the slow cooker!! And this flavor sounds fantastic!! Hope you’re having a great week so far! Oh this lasagna looks amazing! I’ve never thought to make it in the slow cooker before. I’ve got to check out that cook book, too. Such a delicious fall meal! 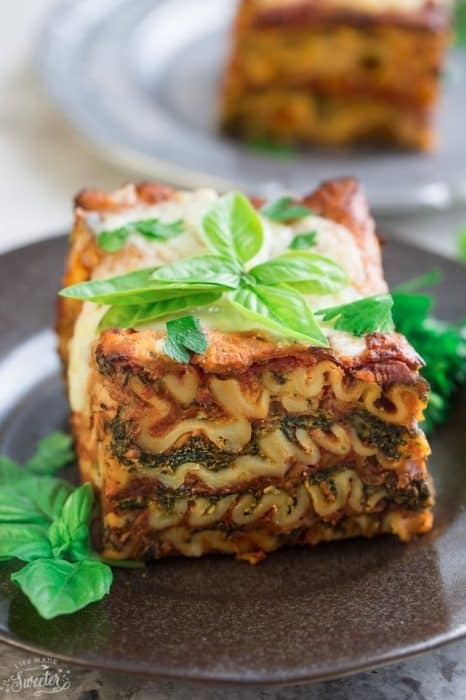 This lasagna looks awesome! And made in the crock pot? Perfect! Pinning to try it! Congratulations to both you and Samantha for your beautiful cookbooks! 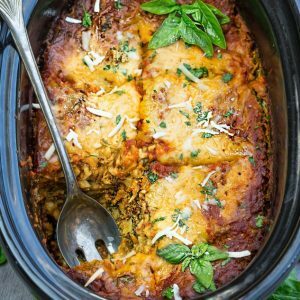 That lasagna looks so good and you just can’t go wrong with a crock pot dinner! Pinning! Lasagna in a slow cooker?? This looks beautiful! This is the only way I can get my daughter to eat a vegetable! 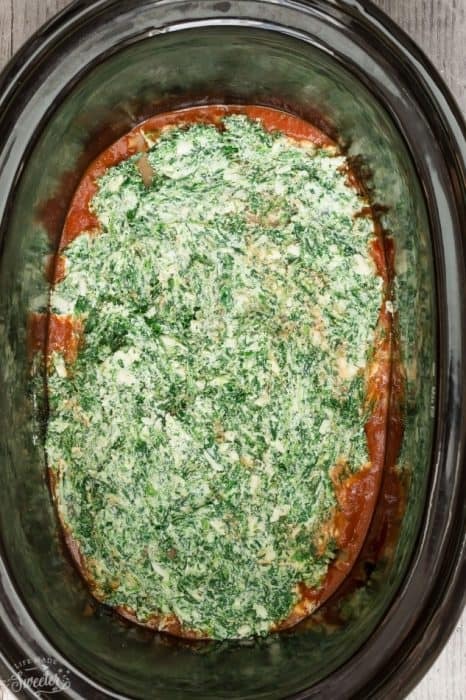 She loves spinach lasagna and I LOVE that this one is made in a slow cooker!!! 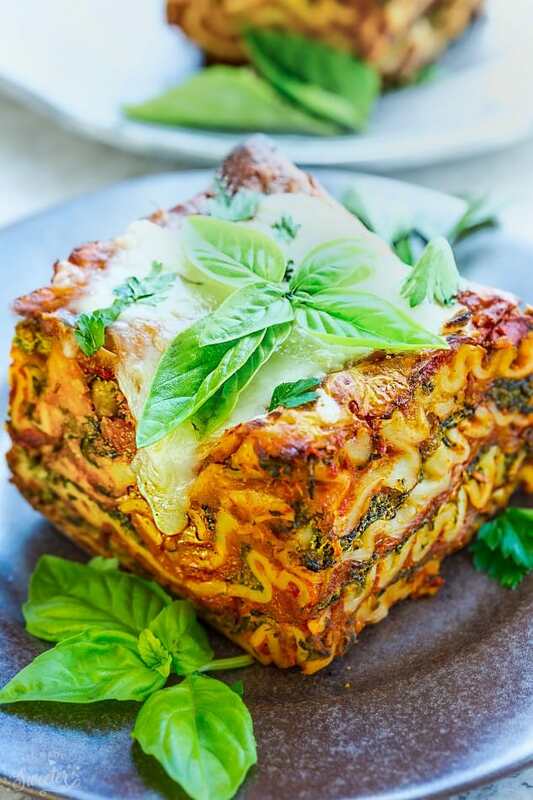 Oh my gosh, HOW do you even make lasagna look this gorgeous, Kelly?? I have the toughest time photographing it, but these photos are seriously so pretty and perfect! I love that it’s made in the crockpot too so I can just set it and forget about it! I’m loving this! You are the slow cooker queen! Kelly this sounds amazing and looks so good!! 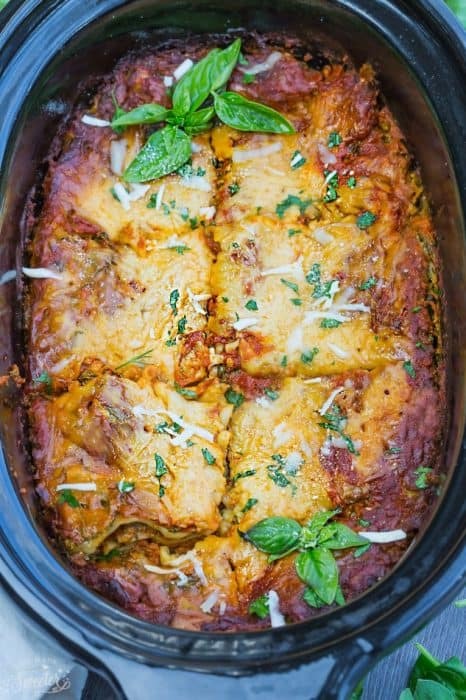 I love easy meals prepared in slow cooker but never made lasagna in one! Totally saving this to make soon! Lovely pictures Kelly! Congratulations to Samantha on her new cook, the recipe sounds fabulous!! Wow! Many congratulations to both you and Samantha for your cookbooks! This is one of the prettiest lasagna I have ever seen, Kelly. Chessy spinach sounds so good to me. Hi Renate, yes, you can definitely use a round slow cooker. You just need to break the noodles up a little bit smaller. Hope you enjoy and good luck! Samantha’s book is one that I need — slow cooker meals are the best! 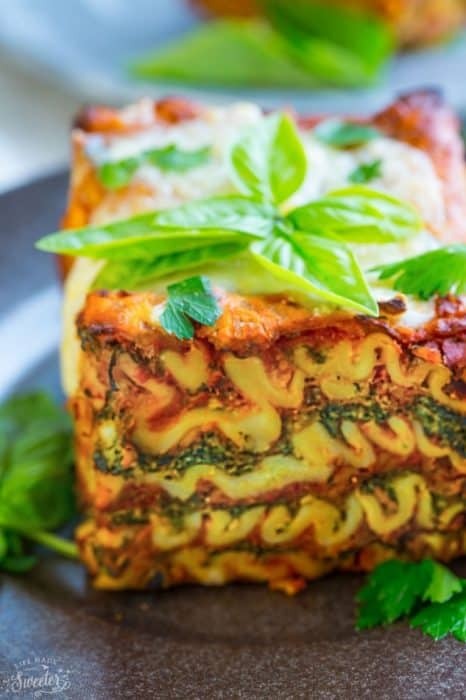 This lasagna is pure genius and I can’t wait to try it! 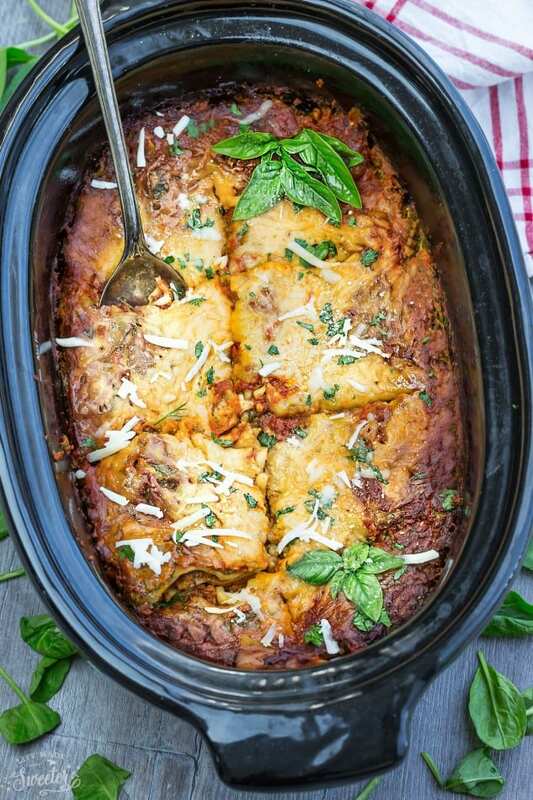 Holy Moly this slow cooker lasagna looks ah-MAZING! Hi Paula, sorry I think a word got cut off your question – minced meat or minced mushrooms? If minced meat, it should be browned on the stovetop first before adding to the slow cooker and if using minced mushrooms then yes, you can definitely add them in. Hope that helps and you enjoy! What a glorious dish! and I bet it tastes well, too. Do you cook the spinach first or just thaw before adding to the cheese mixture? I just thaw it before adding it to the cheese. Do I need to add the 1/2cup of water to the marinara sauce and the additional tomato paste? I am going to be using my homemade bolognese sauce and I am afraid it might water down the sauce and add too much acidity by adding extra tomato paste. Hi So Un, yes, the and tomato paste are in addition to the marinara sauce. If your homemade sauce is more on the watery side, feel free to use a little bit less water or leave it out if you think it will water it down. The tomato paste adds additional flavor so I would say to use it as well. Good luck and hope it works out! HI Kelly. Going to try the recipe this weekend. Can I use all fresh spinach instead of frozen and, if so, how much? Thanks. Hi Debbie, yes, you can use all fresh spinach which I prefer to do as well. You can use as much as 2lbs (about 20 cups) of fresh spinach. Just saute or boil (and drain) until just wilted. Good luck, hope you enjoy!